Ryan Ottley is a Utah based artist currently working on Invincible for Image Comics. 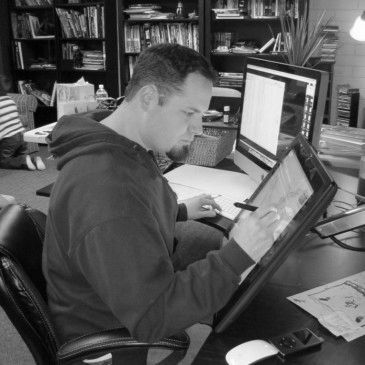 He was the Artist and co-creator of the webcomic strip Ted Noodleman: Bicycle Delivery Boy, and it was through this webstrip that Robert Kirkman first encountered Ottley's work and then offered him the job of penciling Invincible. He has done work for Digital Webbing, Alias Entertainment, Devil's Due, DC, Image And Ape Entertainment.